Michigan, the Wolverine State, is one of the largest and most populous states of the nation. Also known as the Great Lakes State, the Michigan State registers the distinction of being the only state which is formed by two complete peninsulas. The America’s Automobile industry is centralized in the Michigan State and the major contributors in the state’s economy are IT sector, Aerospace Industries, Cereal Food Production Industries and Furniture Industry. The state has higher unemployment rate than the average unemployment rate in US but at the same time, the state has sound health status. With the efforts of Michigan Board of Nursing, the nursing programs and health services in the state are at A1 level at the Lloyd’s. What is the Michigan Board of Nursing and what are its main objectives? 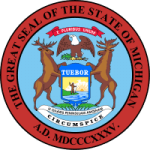 The Michigan Board of Nursing is more commonly known as ‘Department of Licensing and Regulatory Services (LARA)’ in the state. It does not make any difference whether you are related to acupuncture, chiropractic, optometry, psychology, nursing or any other medical branches; the LARA is the only licensing authority in the state. The Board is responsible of taking care of all the nursing programs and certification examinations in the state. The board members are elected on a four year working tenure after considering the experience and contribution of every professional in raising the standards the health care services. The Board enforces the various laws, policies and regulations in the state, which are mandatory for safe and healthy nursing practice. Established in 1909, the Michigan Board of Nursing has undergone various amendments and changes. The Original board had only four members and now the board has developed. Thousands of nurses and practitioners are now registered in the Board. The board has always buckled down hard to promote and improve the health services in the state. The Board was known as Michigan Board of registration in Nursing till 1952 and since then the name was changed to Michigan Board of Nursing. The male students were allowed later in 1955 to enroll in the nursing programs. The LARA is the recent change that was made in the Board. The Board stated providing nursing scholarships in year 2000 by contribution from each license fee.